The Awards are for outstanding achievement by UK businesses in the categories of innovation, international trade, sustainable development and promoting opportunity through social mobility. The awards are valid for 5 years. Winners have reported benefiting from worldwide recognition, increased commercial value, greater press coverage and a boost to staff morale. To find out more visit www.gov.uk/queens-awards-for-enterprise. The local education and business communities are invited to the Eastbourne Education Business Partnership’s annual meeting “The View from Eastbourne EBP” on Tuesday 10 July, hosted by The View Hotel in Eastbourne. The meeting will commence at 6.15pm with a light buffet from 5.45pm when there will be an opportunity to network. 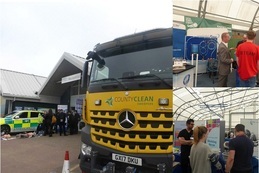 Following on from the success of The BIG Futures Show, the evening will focus on employability and skills related topics linked to the local economy and current developments. Speakers include Clive Cooke CEO of the East Sussex Colleges Group and Councillor David Tutt, Leader of Eastbourne Borough Council. There will also be information about the Department for Education Careers Strategy, plus news about BFS 2019. For more information and to reserve your place email tim@eastbourneebp.org.uk. Business coaches Pro-actions have organised a free business seminar on how to build a powerful business plan on Thursday 14 June, 9.30am - 12.30pm at the Cavendish Hotel, Eastbourne. You’ll discover why you need a business plan and what you need to include, and how often you should review and update your map to success. To find out more and to book your place visit www.eventbrite.co.uk/e/how-to-build-a-powerful-business-plan-that-works-sussex-tickets-43247057112. #AskTheExpert returns on Wednesday 27 June, 10am – 2pm at the Cumberland Hotel, Eastbourne. 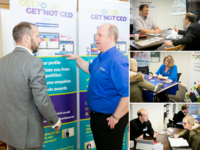 It is an opportunity for local businesses to network and receive free business start-up and growth advice from experts in IT, recruitment, accountancy, social media and sales. A special guest will also be making an appearance - Nigel Botterill founder of thebestof and a number of other million pound businesses. To find out more and to book your place visit www.thebestof.co.uk/local/eastbourne/events/feature/buy-local-showcase---asktheexpert/.